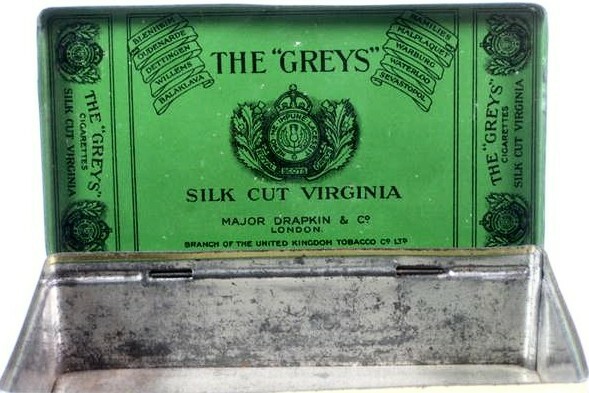 Major Drapkin Tobacco Co. Ltd.
Major Drapkin were the manufacturers of Greys Cigarettes. David Pipes says: Hello John, I recently acquired these two cigarette cards. 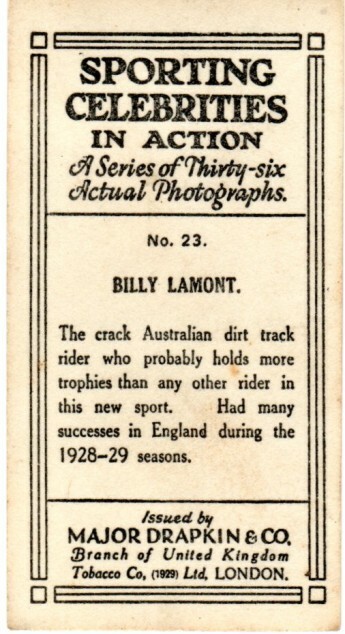 The cards were issued in 1930 by Major Drapkin & Co of London under the title of “Sporting Celebrities In Action”. These are the only two speedway riders featured in this set. Card no. 18 depicting Sir Henry Segrave was withdrawn soon after the initial issue following his tragic death on 13 June 1930 whilst attempting the water speed record on Lake Windermere in his motor boat “Miss England 2”.